Today, President Obama signed into law the Every Student Succeeds Act (ESSA), which replaces the controversial No Child Left Behind (NCLB). The bipartisan passage of ESSA propels the nation into a significant pendulum swing that will shift us away from what some characterized as the long arm of the flawed NCLB accountability system over to what others fear might become a Wild West of state control. Perhaps the most seismic result of the new law will be state revisions of their accountability systems. And, given the demands of the global economy and modern civic life, getting accountability innovation right is a major, and timely, issue—states must seize the chance to ensure all kids get beyond the “3 Rs” to acquire the more robust knowledge, skills, and learning mindsets they’ll need to succeed. Accountability and innovation are two words that sound like polar opposites. Accountability has a sort of weightiness; it is a word that, at its best, conveys responsibility but, at its worst, conveys rote compliance and guilt. Innovation, in contrast, seems unchecked by convention, buoyant—but also risks encouraging “anything goes” for the sake of experimentation. Pairing these words—and the messages they invoke—in the context of education policy might be surprising. But this is precisely what we at the Hewlett Foundation are striving for as we look to the future under ESSA. States that have felt constrained by federal policy will now be able to experiment to sort out for themselves what they want their education systems to produce. Some folks fear that we return to an era without an agreed-upon “floor” of expectations for outcomes and progress—or that we’ll allow backsliding to a time when achievement for all students was not an important-enough part of the discussion. The challenge—and opportunity—facing state leaders at this juncture is how to combine the best of what we mean by “accountability” with the best of what we mean by “innovation” to create new systems and supports that more successfully reinforce and act on what they value. Much can be learned through such a merger, particularly about how an education system can support innovation while holding itself accountable for even better, more equitable outcomes—shifting from a static compliance model toward capacity building and continuous improvement. In this moment of change, we are hopeful states will lead towards a vision of schooling that supports all of the things we know about what children need to succeed. This vision should include rigorous academic achievement but also vital interpersonal and intrapersonal competencies: what we refer to together as the “deeper learning” outcomes that students must master to be successful in the global economy and today’s civic life. Align Accountability Goals with College, Career, and Civic Readiness—Including Deeper Learning Outcomes: As states advance real student readiness as the goal of their education systems, they should take the step to define “readiness” as deeper learning and make this the “north star” goal for their accountability systems, including a full range of knowledge, skills, and dispositions. Setting clearly-articulated and overarching definitions of student success now is important to guide where states set the bar for school accountability—both in terms of student performance on the current crop of new assessments and on those indicators that will develop over time as we improve the achievement measures for such hard-to-test areas as collaboration and social and emotional learning. Include Multiple Measures for Accountability: If states stipulate that they care about a range of outcomes, they should take this opportunity to adopt multiple measures of student learning. High-quality summative assessments of student learning—like those PARCC and Smarter Balanced have created—remain an essential component. But they need to be complemented with measures that reflect the full breadth and depth of whether students are ready for college, career, and citizenship—providing information on a range of cognitive, interpersonal, and intrapersonal knowledge and skills including rigorous academic content, critical thinking and problem solving, collaboration and teamwork, expert written and oral communication, learning how to learn, and development of an academic/learning mindset. Notably, states should include performance assessments that better measure and advance student application of knowledge and higher-order skills. States could also get beyond lip service to local capacity by making room for local assessments. Report a Data Dashboard to Drive Improvement: States should use a dashboard system—a limited number of important indicator metrics and “warning lights” for critical aspects of accountability—to report and interpret progress on these multiple measures rather than only collapsing them into a single score or performance index. As a part of this disaggregated information on student outcomes, states could further empower ongoing action for school improvement by considering inclusion of equitable resources, information on opportunities to learn, and data on the climate for learning, among others. These three reform areas will only succeed in practice if states pursue them through a policy of continuous improvement, committing fully to equity, to evaluating their success or failure, and intentionally fostering local innovation with an eye toward fairly scaling up effective improvements. States must ensure that revised designs do not simply shift state and local systems from one static “box” of accountability to another unadaptable box—especially as new measures of currently “hard to measure” student outcomes are developed. They should embrace ongoing innovation tied to clearly-articulated goals rather than to innovation for its own sake. 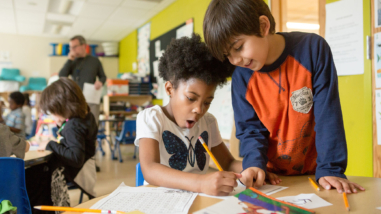 Finally, new accountability systems should be connected to a real, statewide system of supports designed to help all schools improve—with a particular focus on mechanisms to enhance the professional capacity and learning of educators themselves. Passage of the Every Student Succeeds Act will kick off a time of momentous change. As state leaders combine accountability and innovation, they must remember that schooling serves all students and provides a public good. 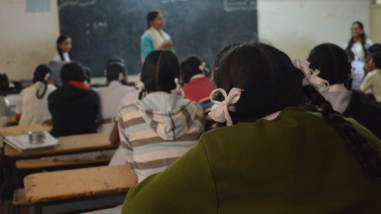 Indeed, accountability systems were first developed precisely to ensure that the most at-risk children receive the supports they need and that their achievement is transparently reported. We must not lose this goal. 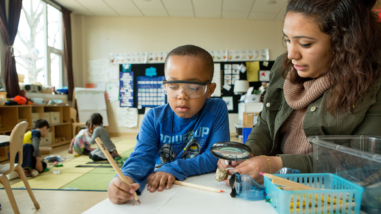 As states implement improved accountability models, which make new room for a richer and more demanding array of student outcomes, we can and should keep equity top of mind in both design and implementation. We believe that these key reforms—basing accountability on a clearer definition of desired outcomes, adopting multiple measures of student achievement on these outcomes, and using dashboard reporting—are critical to success in this transitional moment. States can and should combine innovation and accountability by advancing the deeper learning competencies necessary for all students to be successful in college, career, and life.